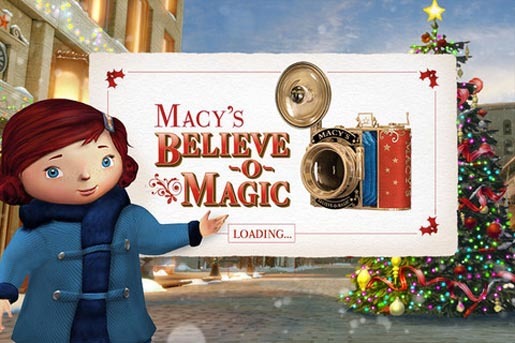 Macy’s has released the Believe-o-Magic app, an augmented reality Christmas card smartphone and ipad app, designed to help young customers connect with fully-animated, life-size characters from Macy’s animated holiday classic “Yes, Virginia,” including Virginia, Ollie, Charlotte and Barry. Users are able to use augmented reality to choose their favourite characters, take photos and then customize their virtual card. 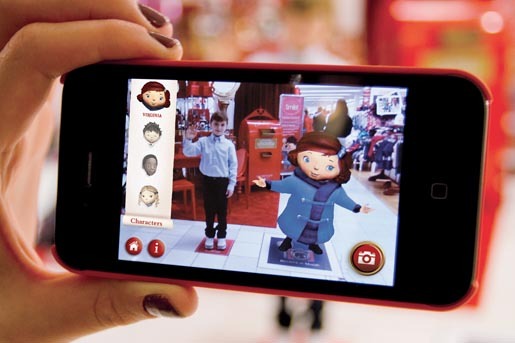 The app is available on macys.com/believe, iTunes and the Android Market. 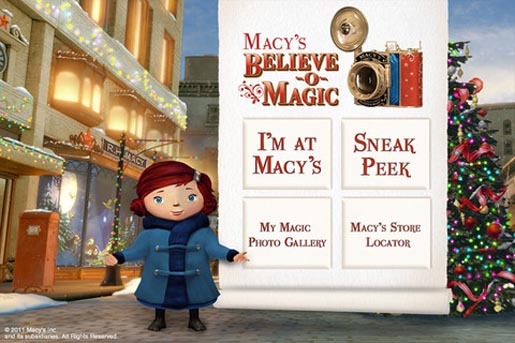 The Macys Believe-o-Magic campaign was developed at JWT New York by chief creative officer Peter Nicholson, executive creative director Matt MacDonald, creative directors Craig Love, Shayne Millington, Lea Ladera, art director Chad Baker and Joseph Merkeley, copywriter Emily Sander, planner Jonathan Fletcher, director of digital production Suzanne Molinaro, director of brand production Sergio Lopez, director of creative technology Martin Legowiecki, executive producers Brenda Fogg and Robin Feldman, producer Catherine Christiansen, production designers Jenny Horn, William Creedle and Mishu Hassan. The app was developed at Metaio, San Francisco. Filming was produced at The Ebeling Group. Media was handled at MEC.